Yes, we’re aware this is a little confusing. 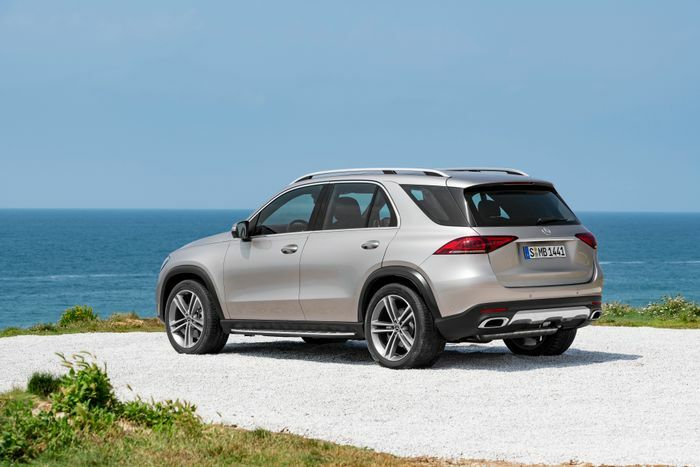 You’re probably thinking the old GLE hasn’t been around that long - how come there’s a new one already? Well, the car that arrived in 2016 was little more than a re-branded ML, as part of Mercedes’ revamp of its SUV nomenclature. Which, two years on, we’re just about use to. We think. So, what’s new on the first car to be called ‘GLE’ from its inception? Perhaps most significantly, space. The wheelbase has grown by 80mm, and the cabin has been re-jigged. There’s more leg and headroom in the back, while fans of carrying very large things will be delighted to learn you get 825 litres of boot space up back, which you can expand to 2055 litres with the 40:20:40-split rear bench folded flat. The new GLE also has a 48-volt electric system, which runs the same mild hybrid system and integrated starter motor arrangement we’ve seen in other Mercs like the CLS. It also powers the hydropneumatic active suspension system, a combination not seen before in a production car, Mercedes says. It’s a clever setup too, with sensors that scan the road ahead and adjust the dampers to beast deal with what’s incoming. 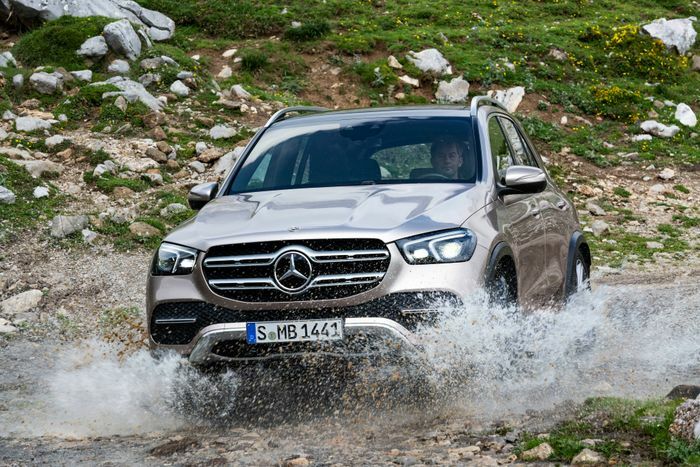 From launch, there’ll only be one derivative available - the GLE 450. It’s powered by a turbocharged inline-six developing 362bhp and 369lb ft, but for short bursts, the motor-based ‘EQ Boost’ gives a 22bhp and 184lb ft injection, helping counteract turbo lag. And no, that second figure isn’t a typo. There’s no word on performance figures yet, but it should be suitably brisk. 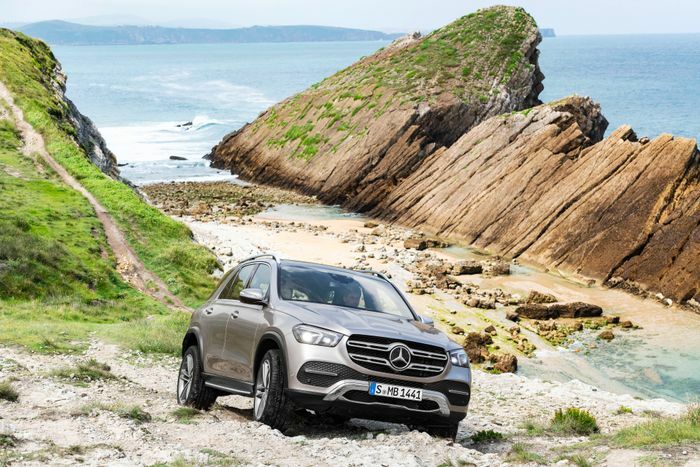 It’ll be reasonably handy off road too, thanks to an electronically-controlled multi-plate clutch which can transfer anything up to 100 per cent of torque to either axle. Or as an option, you can have the transfer case “specially configured for superior off-road driving characteristics”. Just in case you’re one of the few who’ll actually take the thing over rough terrain. Stepping inside, you’ll find a cabin that’s very much like the related EQC - which Mercedes revealed last week. It’s not quite as snazzy, although you do still get Stuttgart’s ‘MBUX’ user interface, which is based around two 12.3-inch touchscreens. We’ve used it on multiple modern Mercs, and can confirm it’s a very good system. We’re still waiting on pricing, which will be published “late autumn”. Various diesel options will be joining the range at some stage, and there’ll be more petrol derivatives too. 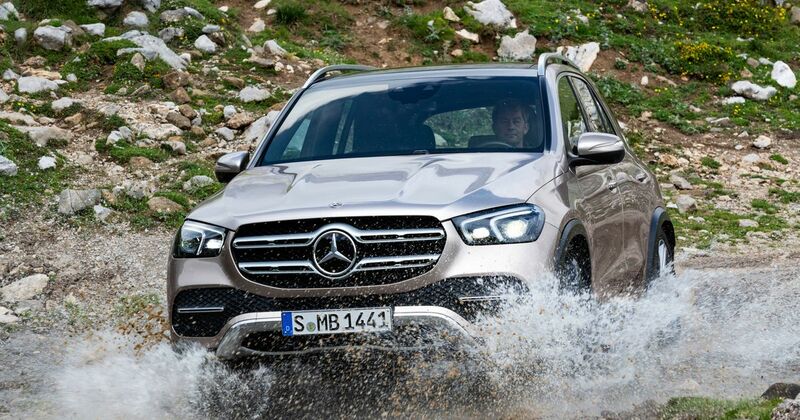 Yep, that should include a shouty V8 GLE 63 from Mercedes-AMG.